Great NEWS – Join Me on Valentines Day for a Community Celebration! Readers of the blog and the wider community will be aware of my 12 year campaign to get the eyesore, that is the derelict shops and maisonettes on Town Meadow Lane redeveloped. Today it was confirmed to me that Wirral Partnership Homes who I have been working with over the last 12 months on the proposal to demolish the flats and maisonettes and build three new shops and 24 new homes have signed contracts with Wates Construction who will be doing the work and it is expected that they will start on site on the 20th February. This really is a great start to 2012! Before the work starts I want to invite all the local residents to a community celebration event on the 14th February (Valentines Day). The event will take place at the front of the shops starting at 11:30am and running until 1:30pm, there will be hot snacks, cakes and soft drinks and hopefully a real party atmosphere, so please come along and join with me celebratring this long-overdue development that will bring three new shops and 24 homes to the site, a massive £3 million pound investment in our town. a bit of background: In the early 2000’s the Council always favoured Birkenhead for investment, ignoring Moreton, the only scheme they tried to hoodwink us was the one for troubled youngsters, that was roundy defeated by the people of Moreton. Then of course in 2005 the Council transferred the stock to Wirral Partnership Homes and of course their priority weas to bring the housing stock up to decent home standard and they had no money for building new homes. 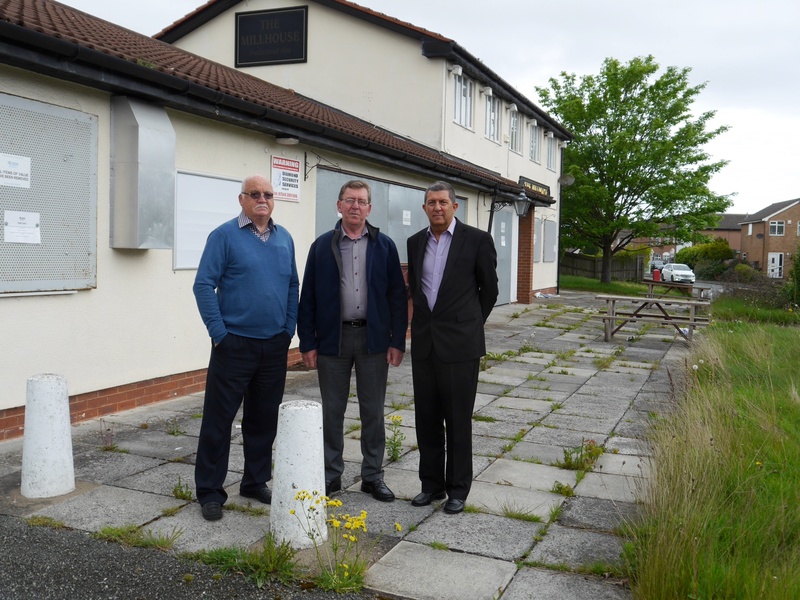 We continued to bid for funds from all the Housing agencies, sadly the Council continued to ignore Moreton and favour, Birkenhead and Tranmere, even now the latest £2.7 million given by the Government is being spent in Birkenhead. Without the investment of £3 million by WPH this eyesore would remain. Next postThe Weeks Round Up!